Professional Window Cleaning brightens up your home and business. Our professional window cleaners specialize in cleaning windows in the greater Seattle area with the speed and care they deserve. 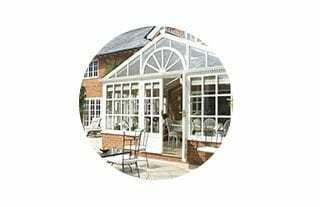 Once you have your windows cleaned you’ll be surprised you went so long without it. We provide professional residential window cleaning in the Greater Seattle Area. We are Licensed and Insured with 6+ years of experience cleaning windows throughout Seattle. Get your free window cleaning estimate now! Kyle did a top notch job washing our windows and power washing the moss from our stairs. Thanks so much for a job well done. We will hire you again for sure. Quick estimate the same day contacted. Very reasonable pricing, too. I used Squeegee Pros to clean the windows in our 3 story townhouse (including skylight!) and they did a fantastic job! We invited them out to clean the gutters at our new house and again, were pleased with the service. Fast, affordable, no-nonsense! Great experience, highly recommended! Squeegee Pros had the most reasonable price, and did an excellent job for gutter cleaning of our townhouse. Kyle was very responsive in the email, the appointment was quick and easy. I made a few quote and Squeegee Pros had the most reasonable price. At first, I was a little worried about the quality of work. A few days after the gutter clean, I noticed water dripping from the roof. I took a picture and sent it to Kyle. After a few days, Kyle re-visited our home and did a comprehensive re-check. He ensured me that the gutter was super clean, and it was most likely due to the design of the house. Still, Kyle offered me to check it again if it rained heavily to identify the root cause. In a word, they did a good job, responsible and trustworthy. I think I will stick to them in the future. Kyle was great. I’ve been through a few different window washers but I’ll be sticking with squeegee pros! Kyle was very responsive via email, did quality work, and was extremely considerate. Kyle left without knocking because he knew my child was napping. Minutes later I got an email saying to contact him if any issues and he’d come right back. There were no issues and he emailed an invoice over without hassle. I’ll be using his services again. Squeegee Pros did an excellent job with cleaning the windows of my 2nd floor apartment in a split-house. The windows are crystal-clear! Other window cleaning companies that I called, were not able to schedule within the same week and were more expensive. Squeegee Pros made the whole process so easy and quick. I only scheduled them to clean the outside of the windows but they also cleaned the inside of the windows when they noticed we had attic windows that were unreachable to clean. Such nice guys! I’m very happy with the job they did and I highly recommend their service! Commercial Grade Pressure Washing is the best way to get your concrete sidewalks & driveways looking brand new. Our experienced pressure washers use various techniques to ensure your property is not damaged during pressure washing. 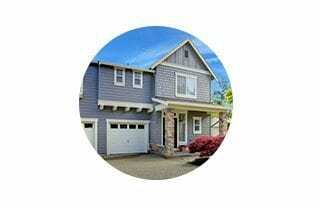 We provide Pressure Washing in the Greater Seattle Area. 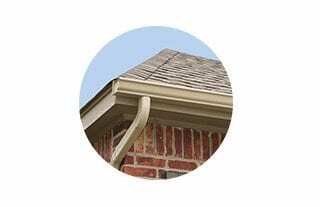 Keeping your gutters clear & clean using professional gutter cleaners helps avoid water damage and gutter replacement. Especially important in the Greater Seattle Area. We provide professional Gutter Cleaning in the Greater Seattle Area. We are Licensed & Insured with 6+ years of experience.